Do You Know Which Adhesive To Use? Here is a quick and easy guide to using adhesives. high enough for what you need, you can layer them on top of each other. where you don’t want the Dimensional to show. around when you are positioning your stamp with the image sheet. of card stock or paper. It works best when adhering two flat layers together. Sticky Strip, then gently separate the pieces. gather or pleat or ruche it. ments to a project, like buttons, ribbons, punched shapes, etc. sticking to everything on your table! glue and glitter on your project. you get a flood of glue! point. Or for attaching fabric to card stock. really helpful when trying to get a mat lined up straight! get wet and buckle as it dries. Warning: If you have allergies, be aware that this glue contains Latex. the Remover and it will come right up. off of the corner to get a clean surface. Crystal Effects:  a very strong glue that is milky when wet, but dries clear. stickers, parts of a stamped image that you want to be shiny, etc. ruin it and have to start over! Email me at tduncan088@gmail.com with your interest in this share. When I have 5 people I will confirm your ribbon share. The share must be paid for in advance by Paypal (Use the Paypal button in the right column). When I receive payment from the 5 participants, then I will place the order, divvy it up, and get your shares to you. Shipping is included in this price. 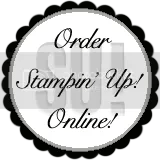 The 2011-2012 Stampin’ Up! 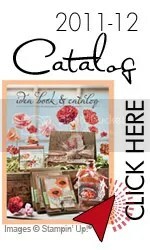 Idea Book & Catalog came out on July 1st and I am sure you have been pouring over it and creating your wish list. Have you also been wondering how you are going to afford to purchase all the new stamp sets, paper, and ribbon? If you are like me, you cannot wait, you want it all now!! All ribbons will come wrapped and packaged for your convenience. This share includes 2 yards of each of the following His Collection of Ribbons: 3/8 Blue Denim Jean Ribbon, 3/8 Artichoke Denim Jean Ribbon, 3/8 Twill Tape AND 2 yards of each of the following Hers Collection of Ribbons: 1/2″ Chantilly Crochet Trim, 5/8 Victoria Crochet Trim, 5/8 Whisper White Organza. This share includes a generous 3 yards of each of the 5/8″ Satin Ribbon in these colors, three of which are NEW! – Bashful Blue, Basic Black, Basic Gray, Certainly Celery, Chocolate Chip, Old Olive, Pretty in Pink, Real Red, Very Vanilla and Whisper White. This share includes 2 yards of each of the 3/8′ Taffeta Ribbon in these colors, seven of which are NEW! – Basic Black, Certainly Celery, Crumb Cake, Not Quite Navy, Perfect Plum, Pink Pirouette, Riding Hood Red, So Saffron, Soft Suede and Whisper White. Email me at tduncan088@gmail.com or call me at (727) 698-7509 to let me know that you are interested in participating in one (or more) of the ribbon shares. The first share I offered is still available, as well. I will keep track and when a share fills, I will send you a paypal invoice and then order, cut, wrap and package the shares. I will get these shares to you as soon as possible. 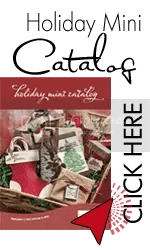 SHIPPING INFORMATION – Shares will ship to US addresses only. Ribbon Shares will go USPS First Class unless you order multiples and I will stuff as many as I can into a Priority Envelope. These shares are offered by: Terry Duncan. I just think it’s beautiful.